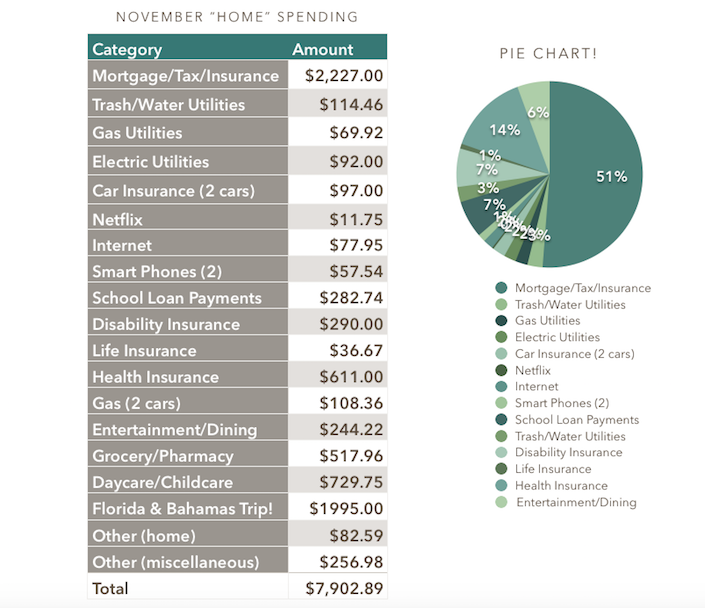 We didn’t have much in the way of major expenses in November, other than the above-mentioned vacation. We did a lot of hiking and other being-outdoors-enjoying-fall activities. My boys had their first “snow day” off from school and therefore their first ski day of the season. We are still limping toward breaking ground on a new investment property, which is taking up a fair amount of our time. Details forthcoming as soon as it’s official. If you’re interested, you can check out our spending reports for January, February, March, April, May, June, July, August, September, and October. June’s report contains totals for the half-year mark. If we had not jetted off to the islands for Thanksgiving week, November’s total would have been $5,907.89. Our total spending for the year is now up to $70,527.96. Unless something really crazy happens, we’re expecting our total 2018 spending to come in just shy of $80k, for our family of 4 in this high COL town, including trips all over the U.S. and two international trips.